" Is the educational system in Edmonton consistent with subsection 23(3)b) of the Canadian Charter ? Does the linguistic minority’s right to be taught in their language under subsections 23(3)a) and 23(3)b) of the Canadian Charter include the right to manage and control the instruction and/or the educational facilities? If so, what are the nature and the extent of the right to management and control ? Are the School Act and any rules thereunder contrary to section 23 of the Canadian Charter? If so, are these infringements justified by virtue of section 1 of the Canadian Charter ? Are section 93 of the Constitution Act, 1867, section 29 of the Canadian Charter and section 17 of the Alberta Act prejudicial to the rights under section 23 of the Canadian Charter? If so, how ? " The Supreme Court declares that the measures taken under the right to management and control codified in section 23 of the Canadian Charter will vary depending on the circumstances and the number of students likely to be enrolled in the school in question. The Court concludes that section 23 of the Canadian Charter has no impact on denominational schools’ or any other separate schools’ rights. It is therefore in compliance with section 29 of the Canadian Charter and section 17 of the Alberta Act. In this particular case, the Court is of the opinion that the number of students does not justify the creation of an independent school board, but does justify a representation of the minority language parents on the separate school board. The Court ends its analysis by concluding on the lawfulness of the Regulation 490/82 and the Alberta School Act. As for the regulation, the Court settles that the provision requiring that 20% of class hours be devoted to teaching the English language is incompatible with the objective of section 23 of the Canadian Charter and is not justifiable under section 1 of the Canadian Charter. The Court does not declare invalid the Alberta School Act in order to authorize the Albertan authorities to take measures to fulfill their obligations arising from section 23 of the Canadian Charter. In this decision, the Court fails to recognize that Alberta is subjected to the obligation of legislative bilingualism. This decision, without reference to the Canadian Charter, results from an interpretation of the historical documents presented as evidence to the court. The judges also indirectly extend their conclusion to the province of Saskatchewan. The appellants are awarded traffic offenses for violating provisions of Alberta's Traffic Safety Act and the Use of Highway and Rules of the Road Regulation, two legislative documents enacted uniquely in English. As their defense, they claim that both this law and regulation, as they are not translated into French, are unconstitutional and thus contravene with Alberta's obligation of legislative bilingualism they argue exists. Their plea rests on the fact that in the Address of 1867, which incorporated Rupert Land and the North-West Territories as parts of Canada, Parliament promised to respect the "legal rights of any corporation, company, or individual" of the North-West Territories. 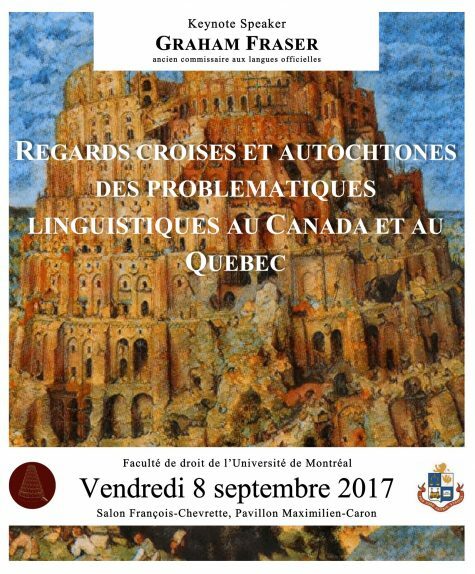 The appellants claim that the bilingualism is among these rights attributed to them. These rights are of a constitutional nature considering the Address of 1867 was incorporated into section 52 (2) b) the Constitution Act of 1982. "Is there a constitutional obligation for Alberta to respect legislative bilingualism?" Language rights have always been addressed and treated expressly, and the terms "legal rights" have never before been used to qualify linguistic rights. The Court argues that the Constitution Act, 1867 and the Manitoba Act, 1870 both contain clear explicit language right guarantees, however no similar provisions concern Alberta. In addition, the evidence brought forward regarding the Address of 1867 fails to demonstrate that the terms "legal rights" specifically concern linguistic rights. Therefore, Albert is not subjected to the obligation of translating its laws or regulations. Without such an obligation, the province of Alberta has the right to choose the language that it desires to enact its laws and regulations. This content has been updated on 7 April 2016 at 15 h 10 min.